A great alternative to too many post-cap lights are side-mount lights. Since they give off a warm glow that pairs well with post caps, side-mount lights are the ideal option to illuminate your deck without blinding anyone. However, if you seek lighting that is bright enough for task lighting, then you will want to make sure to pair your side-mount lights with post-cap lights. By using side-mount lights on your deck, there will be no worry of being eye level with a bright light when you’re sitting down. These type of lights mount to the side of the deck post. 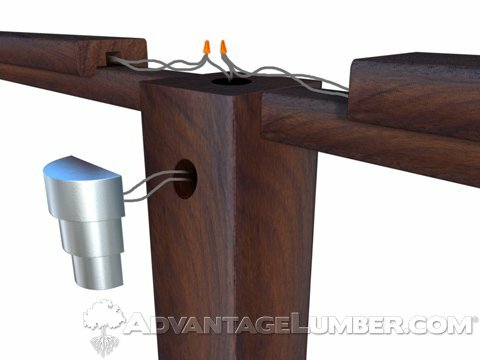 The ideal height of a side-mount deck light is about 32 in. to 34 in. from the deck surface. Side-mount lights come in many different ornate styles to match the style of your home effortlessly. 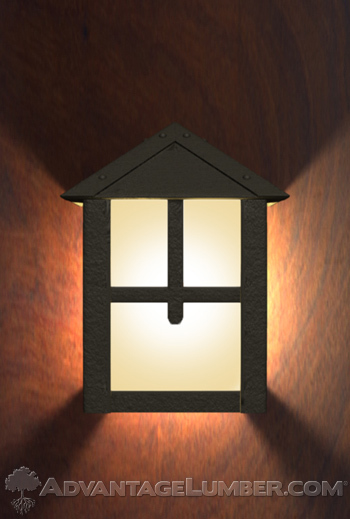 Check out AdvantageLumber.com for our collection of fabulous side-mount deck lighting! This entry was posted in Deck Lighting, Decking Installation, How-to Build and tagged deck lighting, deck post lighting, side mount lighting on August 15, 2013 by Mr. Ipe Hardwood.